Once a sport for hard-core adrenaline junkies, the advent of indoor rock climbing walls has transformed rock climbing to a mainstream event. Whether in a gym or on a cruise, you can find rock walls just about anywhere these days. Advertised as fun for dates, family gatherings, birthday parties, or corporate team building, Florida has no shortage of these fun activity centers. But when a pleasurable outing becomes dangerous, what recourse do you have? A good personal injury attorney can help you deal with the aftermath of injuries incurred during a climbing experience. With over 9 million rock climbers in the country, some injuries are inevitable. Studies indicated that over 40,000 emergency room visits have taken place related to climbing over a 20-year period. What types of injuries are most common? Sadly, some injuries are much more serious. One Texas woman incurred a fatal 30-foot fall from an indoor rock-climbing wall due to problems with the tethering system to which she was attached. One issue to consider with indoor rock-climbing walls is the oversight of operations. How much training do workers get? 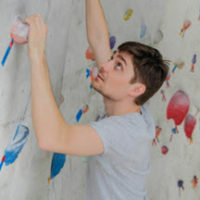 Since many indoor climbers are novices, injuries are frequently due to errors. It is incumbent on indoor facility owners to provide experienced, well-trained staff who understand safe techniques and procedures. Additionally, climbers must receive adequate orientations before ever starting up a wall. What About that Waiver you Signed? When intentional acts or gross negligence is the cause of the accident, the organization’s liability cannot be waived. If even basic due care was provided, you may have a case. If the language abdicating the organization of responsibility is hidden away in the document, the court may find that it was not intentionally agreed to. In the event that you or a loved one becomes seriously injured at an indoor rock-wall facility, you may have your hands full dealing with the injury itself. As the medical bills come rolling in, your stress may escalate. Don’t go it alone. The experienced personal injury law team at the Law Offices of Robert W. Elton in Daytona & Ormond Beach take pride in their dedication to justice. Let our aggressive team investigate your case. Contact us today for a free, confidential consultation.